With spring in the air, the temperatures are climbing, the famous cherry blossoms have reached peak bloom, and once again, the baseball and softball fields have come alive in Northern Virginia. My very own sweet Caroline, age 10, has decided to try softball this year! All decked out in her Shamrox uniform, which includes fun socks covered with bright green shamrocks, she is eager and determined to play just like her dad and big brothers. For most kids, it is a given that they will be on the field with the other kids in the spring, but for a child like Caroline, living with a life threatening inborn error of metabolism called isovaleric acidemia (IVA), it is a gift. IVA is a disorder in which one’s body is unable to break down the amino acid leucine. Leucine, a byproduct of protein, produces isovaleric acid that is toxic to the body. 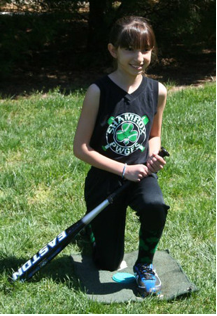 Early detection of her disorder by newborn screening has enabled Caroline to have appropriate life-long medical intervention and management of her disorder, so that she has the strength and good health to play ball—something we never take for granted. Through the joy of watching her run around the field, I am reminded that another season has come and someone else is missing on the ball field—her big brother Stephen. He too has IVA, but due to a twist of fate, the disorder was not detected when he was a newborn as a result of lack of comprehensive newborn screening at the time he was born. Despite my love for this time of year, springtime forever reminds me of a horrific time in our lives twelve years ago, leaving a permanent ache in our hearts. On a beautiful May morning, much like the ones we are experiencing now, I found my happy, energetic little 3.5-year-old Stephen unresponsive in his bed with a strange odor permeating his room. Just days before, he was playing in the dugout at his brother’s little league game and running the bases after the game. Now he felt like a little, limp ragdoll as I picked him up, and I could feel his little heart racing as I called 911. By the end of the day, he was in a hospital pediatric intensive care unit (PICU). Less than 48 hours later and two seizures, he crashed before our eyes and was left with swelling around his brain stem. Stephen was in a coma on life support fighting for his life. The diagnosis of isovaleric academia came too late to prevent severe brain damage. Imagine being told, “if your son makes it through the weekend, he won’t be the same little boy you knew,” and having to tell your other children that their little brother is going to die. Stephen remained in a coma on life support for three weeks and by the grace of God and excellent medical intervention, he survived his metabolic crisis. 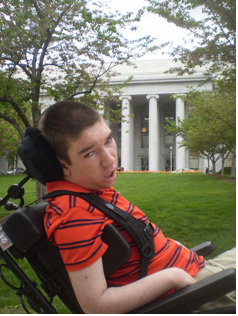 However, it left him with severe intellectual and developmental disabilities, seizures, a gastrostomy tube and cortical vision impairment. The devastation of what Stephen endured was compounded by the realization that it could have been prevented had he been screened for IVA at birth. However, it inspired me to become an advocate for expanded newborn screening at the state and national level to help prevent other babies and children from sharing Stephen’s fate. After four weeks in the hospital and six weeks in a pediatric rehab center, we brought Stephen home to a very different life for all of us. Somehow, we found a way to go on with life, welcoming Caroline just one year later. We were now raising two children with a serious metabolic disorder, including one with intellectual and developmental disabilities, and two other sons who sought some sense of normalcy from the life we had. Stephen has had many medical challenges over the past 12 years and we have all made incredible adjustments. Since 2011, Stephen has had four surgeries, including a major spinal surgery to insert two titanium rods and 27 screws. In just a few short weeks, he will undergo another surgical procedure and diagnostic evaluation. Despite four medications, we deal with weekly seizures that are difficult to explain. It’s all a part of our roller coaster life where we savor the plateaus of status quo, and brace ourselves with all of our inner strength for the approaching slopes and rapid descents of the next medical complication. 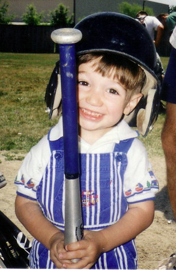 As we coast our way through life, we are constantly reminded of the endless “what could have beens” with Stephen, while cherishing those first 3.5 years when we watched Stephen grow and develop his fun, loving personality, strong independence and infectious charm. Rather than dwell on the loss, we have chosen to embrace the opportunity to take the series of events in his life and see a greater purpose–one that has and will continue to impact endless children and families in the years to come nationwide. Together, Stephen and Caroline are a clear representation of the importance of newborn screening and the dramatic consequence with and without—a forever reminder every baseball/softball season.